A few years ago, the rumor that George Lucas was working on a true sequel to Star Wars would have been enough for nerds to do their best ninja impressions in order to sneak into Skywalker Ranch to look for even the slightest morsel of confirmation. A crumpled piece of paper with the words “Episode VII” could have sent a wing of Comic-Con fans to the hospital in rapturous seizures of joy, while an unpublished outline would have given fans a heart attack on the spot. But that was in a world where Jar Jar Binks did not exist. It would have been an elegant rumor, for a more civilized time. A new report from the website IESB.net claims that Lucas is working on a trilogy of sequels that will take place long after the events of Return of the Jedi, and would not feature the original cast (with the possible exception of the droids, although that is just a guess). The movies might be episodes 7, 8, and 9, or they could be further in the future, meaning that they might just as easily begin with episode 10, or episode 22. Since IESB first reported the rumor, the site has been down and back up several times due to a massive traffic surge. Either that or Grand Admiral Lucas sent the Imperial lawyers to deal with the rebel scum, and the fighting has moved to the servers. While this might seem like just another rumor in the long history of rumors, it should be noted that IESB was the website that first printed the rumor of Joss Whedon directing The Avengers, as well as several casting and industry related scoops. They claim their source is 100-percent certain of the story, so while it may be a rumor, it is likely a rumor that all parties involved truly believe, and not just wishful thinking that somebody made up. 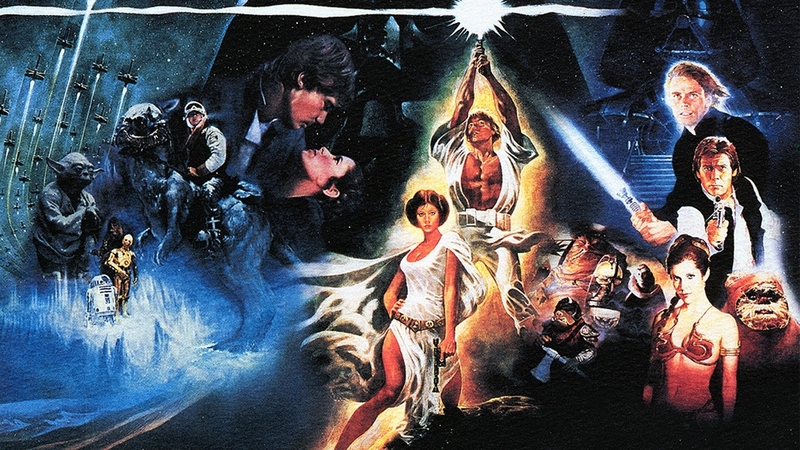 Fans of the series will no doubt remember that Lucas originally saw Star Wars as a nine-part series of movies. Back when the Special Edition Star Wars films were being re-released and rumors began to circulate that Lucas was working on a new trilogy, it was originally unclear whether or not he was writing the prequels or sequels, and speculation was rampant. Obviously it turned out to be the prequels, but the idea of a trilogy of sequels has never gone away. Lucas currently has his plate full milking his franchises. A fifth Indiana Jones movies is reportedly just a matter of time, the Star Wars live-action TV show has been delayed but not forgotten, and the original six Star Wars films are being 3D-ized for annual theatrical re-releases beginning in 2012. If the rumor is true, the next batch of Star Wars films might then hit theaters after Return of the Jedi 3D is released, so possibly sometime in 2018. IESB’s sources claim that Lucas wants to create a new story within the Star Wars universe, most likely without any Skywalker characters (or possibly just a loosely connected descendant), but he views the current Skywalker storyline as officially finished. If he remains consistent, Lucas will finance the films himself, which would be a fairly easy way to earn several hundreds of millions of dollars for himself, but the report claims he is motivated more by the creative success of The Clone Wars and the Star Wars video games, as well as James Cameron’s Avatar, which Lucas is said to have loved. Lucasfilm has denied that the possibility of a new set of movies, but that is no surprise. If this does happen, it is still several years away. So here’s to another decade or so discussing Star Wars rumors!